Not sure what security fastener you need? Let us help! 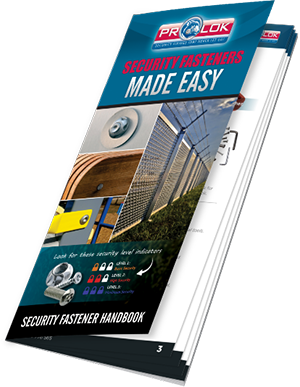 CLICK HERE to find your security fastener solution. Security fixings that never let go! Need security? Anxious to protect your property from theft & vandalism? Rely on PROLOK Security Fixings that Never Let Go! 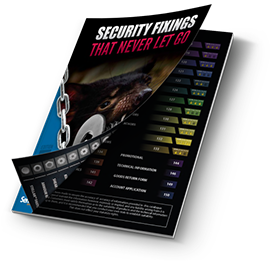 Select from our range of unique security fixings which have been proven to add value and are government specified. The NEW Pentaforce heavy steel self drilling screw is here! PROLNX now incorporates the unique Whirlwind square thread screws. Providing more torque with less wobble they are easier to use because the positive engagement eliminates slip and crunch. We stock the widest range of Security and Tamper evident fixings as well as Specialty Fasteners for Aesthetic applications. The maxim "We make the Hard part Easy" encapsulates our commitment to find the right fastener for the job for all our customers. Stainless barrel nuts with a polished finish are ideal for public spaces. Unique drive offers security benefits too! Torx Drive Concrete anchors, screw directly into concrete. APPROVED BY DEPT. CORRECTIVE SERVICES. Do you know we keep a range of S/S SHEAR BOLTS in stock? Check out this grunty self driller! For fixing into steel up to 12mm thick. Let us help you find a distributor suited to your needs.